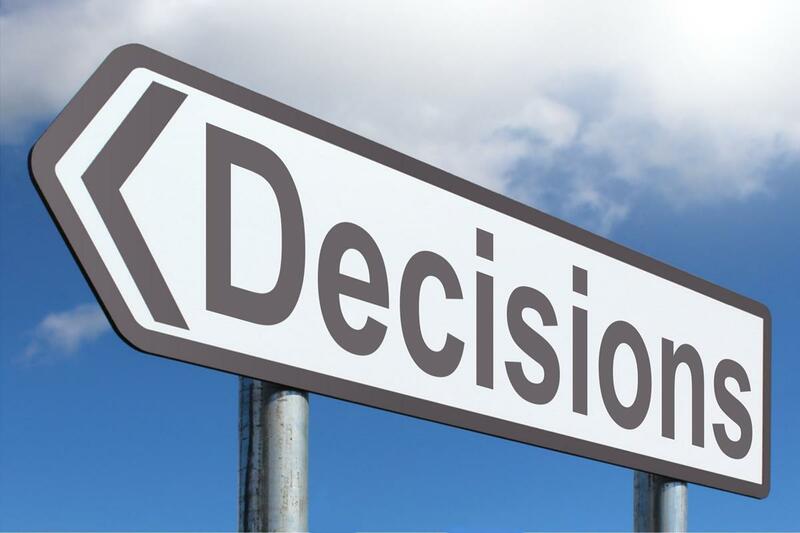 Have you ever had to make a decision, but was undecided? We all have. Have you ever made a decision and later regretted it? Yes. Did you ever miss a great opportunity because you waited too long to make a decision? Probably. So how can you make good/timely decisions in your life? First of all, determine how important this decision is. No, really is it THAT important. I've agonized over some decisions that in the end made me say, "Why did I stress out over this?" Secondly, made decisions with good disciplines or habits. Should you have the cheeseburger or the nachos? Probably neither. If you don't have good disciplines or habits to guide your way, you'll make bad decisions. Thirdly, what is at stake? The higher the stakes, the more you should pursue Godly wisdom. "Should I wear my white sneakers or my green ones?" This does not require prayer and fasting. "Should I quit my job and move across the country?' Probably should get some Godly wisdom on that one. So if you didn't get this already, let's review. Matthew 6:25 “Therefore I tell you, do not be anxious about your life, what you will eat or what you will drink, nor about your body, what you will put on. Is not life more than food, and the body more than clothing? A good reality check will always relieve some stress from your life. Romans 12:2 Do not be conformed to this world, but be transformed by the renewal of your mind, that by testing you may discern what is the will of God, what is good and acceptable and perfect. Transformed thinking will be self-disciplined and inspired by the Holy Spirit. James 1:5 If any of you lacks wisdom, let him ask God, who gives generously to all without reproach, and it will be given him. God is a big fan of you making great decisions. So much so He promises to help you.